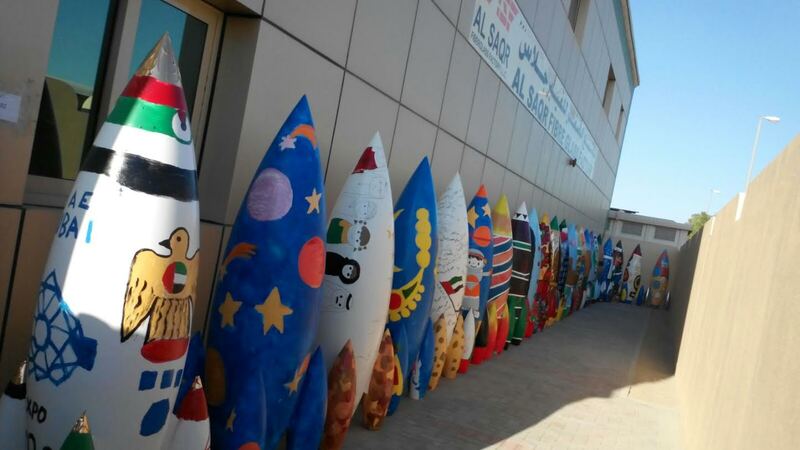 As part of the UAE National Day Celebrations, 44 miniature rockets with colourful paintings by 44 talented UAE girls students are designed to be displayed initially in the Sadiyat Island, Abu Dhabhi and later to be moved to different locations in the UAE. As part of the 44th National Day Celebrations of the UAE, the UAE Space Agency has assigned Al Saqr Fiber Glass Factory in Sharjah. Speaking to Emirates 24|7, Vijayan Puzhankara, Managing Director and Chief Executive Officer of Al Saqr Fiber Glass Factory said his team of designers and artists are happy to have finished the miniature rocket project on time and he said in addition to 30 employees of his company, 44 girl students from various parts of the UAE, have made the rockets beautiful with colourful paintings on each rockets. “We have made the designs on white surface made of glass reinforced plyster composite material and out of 44 girl students have made them more beaituful with colourful paintings. All the paintings were completed in one day in the Sharjah Planetarium where it was displayed,” said Vijayan, who was earlier associated with the UAE Camel Caravan and Arabian Horses, which were placed in important landmarks in the country. Those horses and camels travelled all over the world. 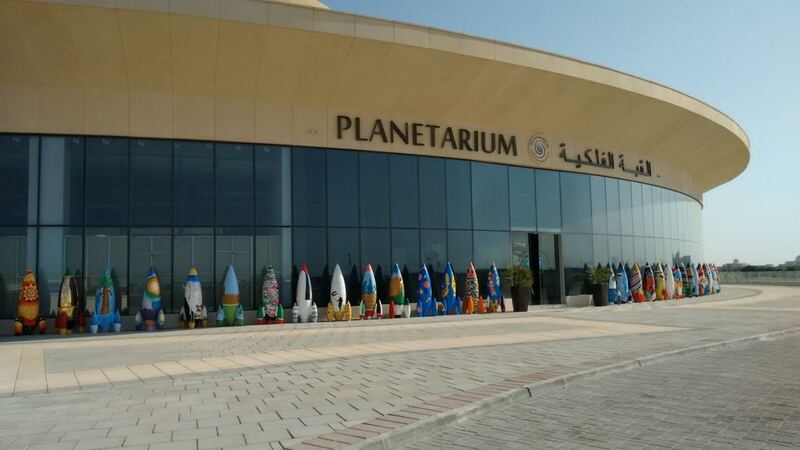 The UAE Space Agency has conducted a painting competition in which 1850 girl students took part and the miniature rockets weighting 22 kgs, 6 feet height will be displayed in the Sadiyat Island, Abu Dhabi. “There are forty four rockets decorated with colourful paintings, drawings and images of UAE leaders, the cultural and environmental heritage of the country, names of the the country’s martyrs, importand land marks like the Burj Khalifa,” Vijayan said, adding that he is proud to be making those rockets for the UAE Space Agency, which is trying to inculcate an interest in science and technology in general and space science in particular. The UAE is planning to send a rocket to outer space in the near future. “We have completed the project in two weeks time and now we can feel relieved,” said Vijayan, after delivering the rockets in the Sadiyat Island. The Emarati students who were selected for painting on the 44 rockets will also get prizes. UAE National Day, UAE Space Agency is displaying a rocket, as part of its space mission. Higher Education Girl Students, 1850 girl students from Higher Colleges of Science and Technology, and 44 girls were selected by the ESA, and from their . Rocket miniature 6 feet high, and 44 numbers of rockets, connected to the 44th national day. Students and young generation is to be attracted to science, it is displayed in the Sadiyath Island. One month it will be displayed and it will go around the UAE prominent locations. Around 200 people have worked for the project at various level –including thirty employees and a number of students some of the winners will get prizes too. The fiber glass company earlier made more than 100 colourful Arabian hourses, which were displayed in different locations in Dubai and the 86 Camel Caravan. “Some of these horses and camels were auctioned by Chrsties for millions of Dhirhams,” he recollected. The UAE Space Agency received entries of participation from more than 1,850 students from various primary, middle and secondary schools across the UAE, as part of the ‘Space Rocket’ competition which was launched by the Agency during the Dubai Air Show. The Agency said that the final entries had been submitted to the competition, which was organized in cooperation with the Abu Dhabi Education Council and the Ministry of Education. The competition comes as part of the UAE Space Agency’s commitment to supporting and strengthening its position towards education in science, technology, engineering, arts and mathematics. The competition gave school students the opportunity to colour and design a rocket which had a fixed template but required creativity and inspiration. 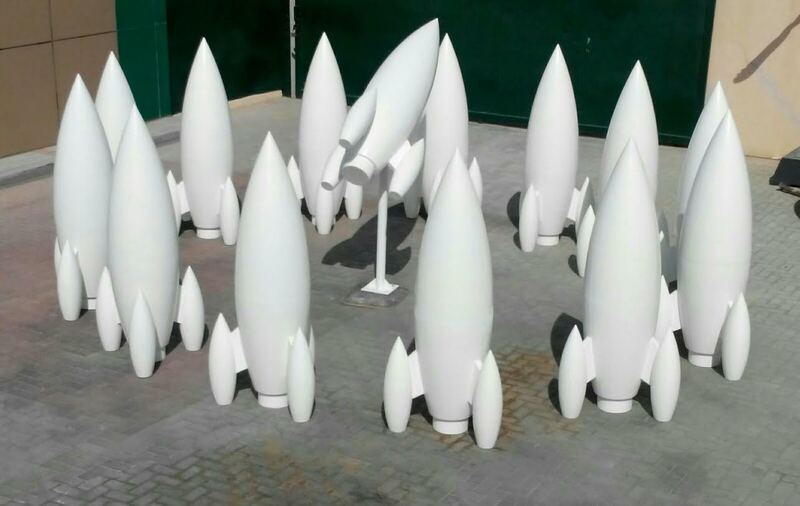 The schools that qualify will be awarded a two metre tall rocket model which they will then bring their entries to life on by applying their proposed colours and materials to the models. The final 44 winning designs will then be presented during a special exhibition as part of the celebrations for the 44th National Day of the UAE, as well as distributed across the UAE at prominent landmarks during the subsequent period.